The Wayne Gretzky-led 1984-85 Edmonton Oilers have been chosen by fans as the greatest NHL team of all time, the league announced Monday. The league said in a statement that more than 3.6 million votes for the greatest team cast were over a six-week period beginning at the start of the Stanley Cup playoffs as part of the NHL's centennial celebration. The NHL's 96 Cup winners since the League's inaugural season in 1917-18 competed in head-to-head voting. 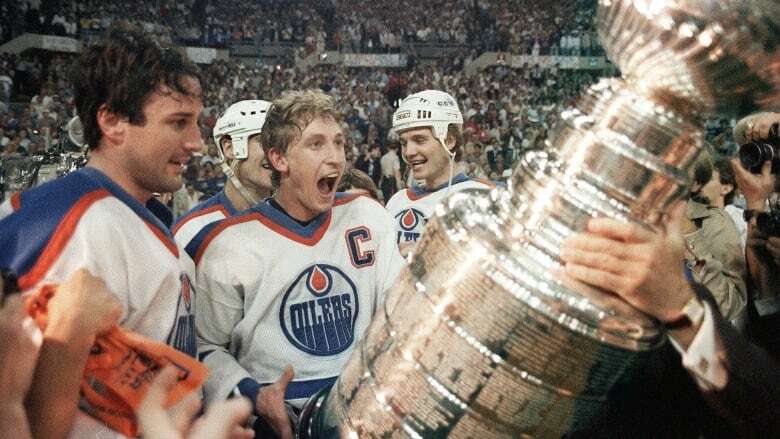 The 1984-85 Oilers defeated the Philadelphia Flyers in the Stanley Cup final to win their second straight championship. Along with Gretzky, the team's roster was stacked with Hall of Famers including Mark Messier, Jari Kurri, Paul Coffey and Grant Fuhr. "We had a love for the game," Gretzky said in a statement. "All of us loved being at the rink. We loved playing and we loved practising. I think from Messier, to (Glenn) Anderson, to (Coffey), to Kevin Lowe, to Kurri, we showed up for practice. We practised hard." Gretzky set records for assists (30) and points (47) in one playoff year. He also tied the modern record shared by Jean Beliveau (1956) and Mike Bossy (1982) for most goals in the Stanley Cup final, with seven in five games. The other teams in the top 10 were the 1991-92 Pittsburgh Penguins, 1976-77 Montreal Canadiens, 1987-88 Oilers, 1986-87 Oilers, 1997-98 Detroit Red Wings, 1982-83 New York Islanders, 1977-78 Canadiens, 1983-84 Oilers and 2001-02 Detroit Red Wings. Former NBA all-star Charles Barkley, who played in Philadelphia with the 76ers, might disagree with the choice. Now a basketball TV analyst, Barkley took advantage of a day off in the NBA Finals and accepted NHL commissioner Gary Bettman's invitation to come watch the Stanley Cup final in person. Barkley interrupted Gretzky and Coffey at the greatest team announcement in Nashville. Barkley said the NHL playoffs have been amazing while noting the NBA playoffs have not been very good this spring. Barkley says he's been watching hockey for years dating back to a team in Birmingham, Alabama, and Ron Hextall is his favorite NHL player of all-time after watching him in Philadelphia. Today, he roots for Columbus defenceman Seth Jones because his father, Popeye, once played in the NBA. And he calls Stanley Cup overtime hockey the craziest thing anyone will ever see, just one reason why he loves the sport.